SCARCE is happy to share that we can now accept CD, DVD, and video game disks for recycling. Cases are NOT accepted in this program. To recycle your disks, remove them from their cases before dropping them off at SCARCE. You can view the full list of items we accept here. Only disks are accepted in this recycling program. Please remove all disks from their cases before dropping off. 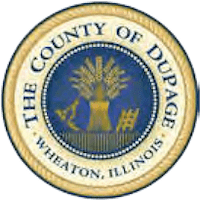 The disks will be stored in boxes until a large enough quantity is collected for SCARCE staff to make a delivery to a local recycler in Romeoville. The recycled plastic from the disks is then used to make car parts. As always, getting items reused is better than recycling! 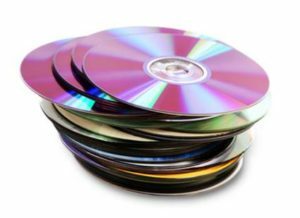 Take any working CDs, DVDs, or video games to a resale shop such as Game Stop, Disc Replay or Goodwill. Any disks that are scratched, out-dated, home-made or otherwise non-usable can be brought to SCARCE for proper recycling. Remember, remove disks from their cases before donating to SCARCE. What to do with cases? Blank, usable cases can be donated to a resale shop such as Goodwill. Any broken cases or cases with writing/non-removable cover art must be disposed of in the trash at this time. Cases may also be mailed in for recycling to GreenDisk at your expense.